All available Marmaris Boat Trips. Choose the best boat trip for you and your beloved ones. 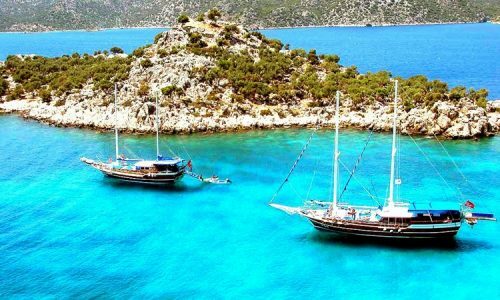 As Marmaris Travel we own a fleet of 4 boats for daily boat trips among the most beautiful bays and islands around Marmaris. All of our boats have 2 or 3 decks and equipped with most of the modern amenities including showers, clean toilets, and sun beds. 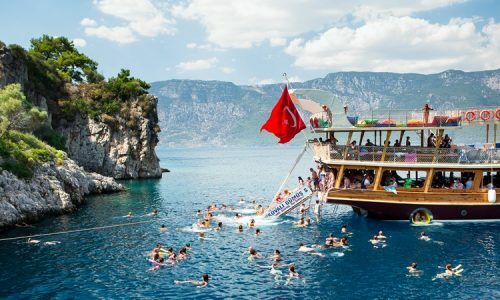 We always make sure that all our guests will enjoy their day on boat trip around the beautiful bays of Marmaris also enjoy the comfort of our boats. We assure you the best of the prices on offer for our boat trips. 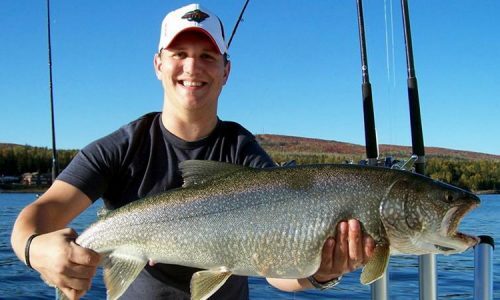 The tour price differs depending on the service and the boat tour that you are looking to take part in. You can check the details provided on this page and tour prices on available boat trips around Marmaris. 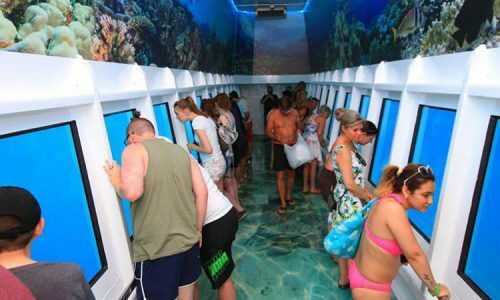 You can join these excursions even if you’re not looking to swim or you’re not well-versed in swimming. Non-swimmers can make use of the safety gears like lifejackets; goggles, swimsuits and other equipment readily available onboard. One can also choose to lounge back lazily on a sun bed on the deck. On each page of our Marmaris Boat Trip every feature is given in detail and our guests can easily get to know about our inclusive and exclusive services. This lets you easily understand the service details of the each boat trip. The vouchers also have service details printed on them. Everything is clear and no hidden charges are levied for any of our services on offer. 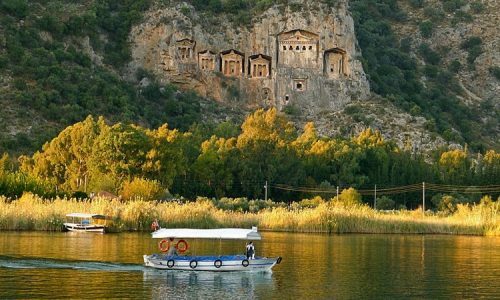 Marmaris Boat Trips are organised at very special locations among the Aegean and the Mediterranean seas. 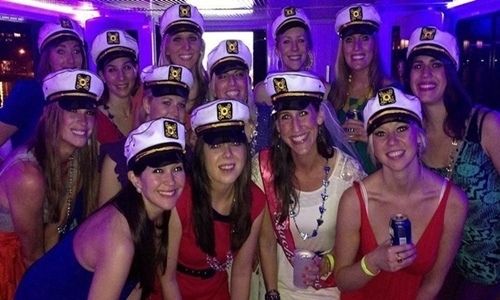 Enjoy an exciting tour that offers a unique opportunity to experience the best boat trip of your life! Cruising by the stunning nature on the outline and amidst the crystal clear waters is an amazing experience altogether. 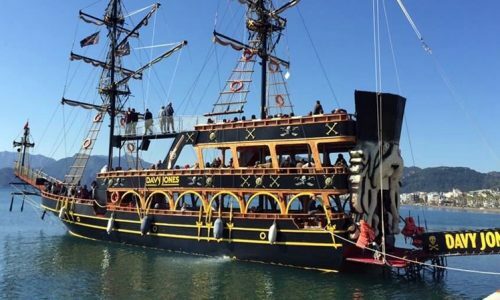 Don’t miss a chance to take part in one of the most exciting boats trips you’ll ever find in Marmaris. You can book Marmaris Boat Trips online without having to make any payment. 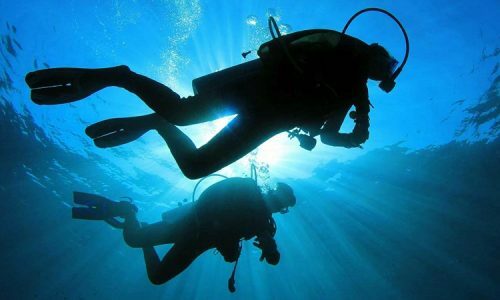 Book your tour now and get ready to take part in the best available boat trips in Marmaris. You can make the payment while you arrive over here. All of our boat trips come with free hotel transfer services. We arrange to pick you up from any of the hotels in Marmaris and Icmeler and drop you back to your place at the end of the tour program. Each of the boat trips has a different set of food and drinks options on offer. 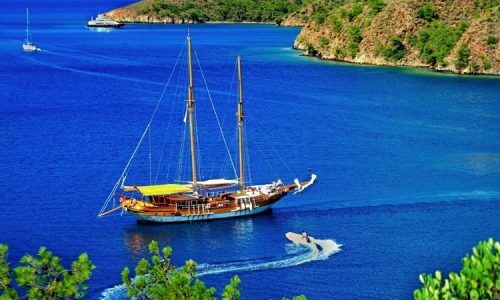 You can choose the best Marmaris boat trip for you and your beloved ones with great ease, and enjoy a great day out. Vegetarian menus are also available on some boat trips.